The garage, typically designated as a workshop area or dumping ground for rarely used items, is now taking center stage in many homes. More and more people are realizing the true potential of their garages and turning them into extra living spaces, an alternate entrance to their home, or a place to showcase and maintain their vehicles. Garage floors are typically dusty concrete surfaces designed to be durable, but not necessarily aesthetically pleasing. If you would like to make the most of your garage space, you may want to consider revamping your flooring with a garage floor coating. There are numerous garage flooring options to explore, but perhaps most impressive of all garage flooring ideas is the designer epoxy floor. Available in a wide range of colors and finishes, epoxy garage flooring is laid on top of your concrete flooring to seal in any dust and create a smooth, attractive and durable finish. Decorative chip garage floor coatings: For a more textured and interesting look, you can choose to have a floor coating that incorporates decorative chips. These chips create an eye-catching, speckled appearance and come in a number of options, including granite, titanium and steel blue. You can also choose your own custom blends to create a truly unique look. Solid color garage floor coatings: For a beautiful block of color, choose a solid color garage floor coating. Some of the most popular choices include black, grey, red, yellow and blue. A colored garage floor can create a great starting point for restyling the rest of your garage. Why not also add custom garage cabinet storage or garage racking systems that allow you to keep everything in its place? Metallic epoxy floors: Metallic coatings add the "wow" factor to your garage, and they look particularly good when matched with chrome fittings, metal accessories, storage systems or custom garage cabinets. They're also a great solution if you want to use your garage space as a living space. A metallic epoxy floor coating is durable, long lasting and offers a stunning alternative to solid color flooring. Garage floor tiles are another versatile option for adding a unique and attractive finish to your garage floor. These tiles offer more flexibility than a garage floor coating, letting you change them easily for a different look. 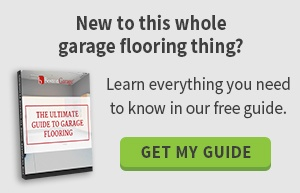 Once set in place, garage floor tiles are non-slip even when wet and will give you a lifetime of reliable use. 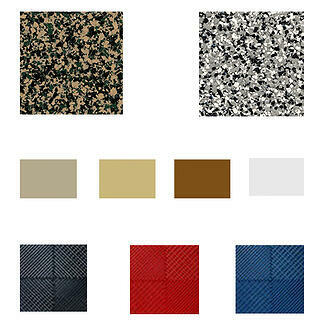 Garage floor tiles come in a range of options and give you the freedom to color your garage floor your way. You can even design them in the pattern of your choice. 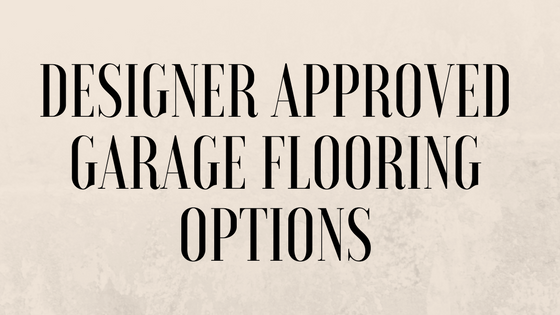 They also give you a great way to make your garage floor safe while adding an attractive feature. Are you considering revamping your garage? The floor is a great place to start. At Boston Garage, we offer a range of high-quality garage flooring options and would be delighted to tell you more. We can also assist if you are interested in custom garage cabinets and other accessories that will improve the look and practical use of your garage. Get in touch with us today to schedule your free, on-site design consultation.